G. R. Peachey & Son Funeral Directors was established in 1937 by my grandfather, George Russell Peachey, of Holywell Row. George was born and bred in Holywell Row and was the youngest son of John and Sarah Peachey, with siblings Evelyn and John. On leaving school George was unable to do National Service due to health reasons so he served an apprenticeship as a carpenter, and at the age of 19 he started his own business as the local carpenter, builder, painter and decorator. During the first few years George worked from his parents’ barn in Holywell Row, and as part of his trade he would make coffins. In a conversation he had one day it was suggested that as he already made the coffins, he might as well do the whole funeral, so that is exactly what he did. In those days it was quite common for the village builder to also be the funeral director (undertaker). The building work would be done in the week, leaving Saturday mornings for funerals. In 1945, now married to Gladys and with the birth of their daughter Jennifer, George and his family moved to 50 The Street, Holywell Row, where he then had his own workshop. In 1947 Adrian was born to complete the family. In the early 1960s, on leaving school, Adrian joined George in the business and they worked together until 13th January 1984, when George died suddenly of a heart attack shortly before he was due to conduct a funeral, which left Adrian to step into his father’s shoes at a moment’s notice, having to put his own grief and feelings to one side. 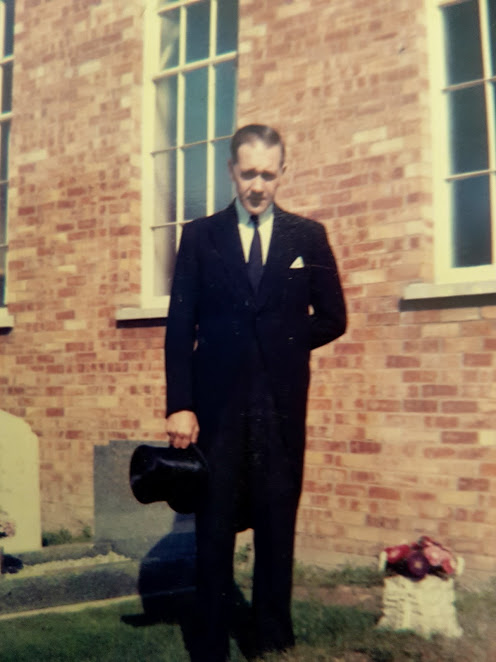 After Adrian conducted George’s funeral he made the decision to focus solely on the funeral side of the business and in 1985 he bought a chapel of rest in Queensway, Mildenhall, with the main office and workshop still based at 50 The Street, Holywell Row, which would be run with the help of his wife, Susan. In 1990, on leaving school at the age of 16, I also joined the business. Then in 1995 we moved to our current location at 16 North Terrace, Mildenhall, where Adrian and Susan, myself and my wife Emma all work in the business, so we are 100% a dedicated family business providing personal care and attention at all times. We are now in our 80th year, and the business has grown considerably since my grandfather started. I am sure he would be very proud if he could see it today, as the business continues under his name 80 years on and three generations. I look forward to taking the business hopefully into its centennial.